It’s an annual tradition at Diamond Consultants: Our comprehensive and impartial look at the industry landscape and trends for financial advisors and business owners. A report we have published for nearly two decades. Each year, we gather our team together to examine deals both large and small, dissect the headlines and hearsay, and study the players. It takes a lot of expertise, brain-power and a hefty share of time to achieve our goal: To deliver an objective view of the evolving landscape of the wealth management industry. 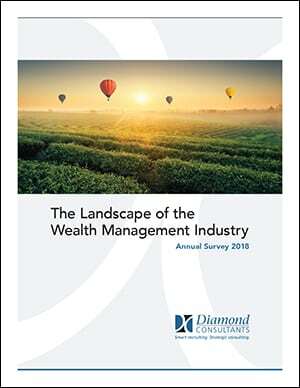 And this year’s report on The Landscape of the Wealth Management Industry is our largest one yet, outlining the changes, trends and ones to watch in the landscape. Each model, key features and players to be aware of. Shifts in the landscape, their causes and effects. How changes over the past year will impact this year and beyond. What these changes mean for advisors and the industry at large. Plus, an update to our at-a-glance view of the models, displayed in a continuum based on key characteristics. It’s specifically designed to educate advisors – of all levels and from all business models – on the industry landscape as it stands today and how it will affect you tomorrow. If you’re building your life’s work in the wealth management industry, this is the annual report you don’t want to miss! Please note that this information is provided without obligation and in the strictest of confidence—your information will not be shared with any third parties. As always, we are here as a resource and would be happy to speak with you about any questions you may have.